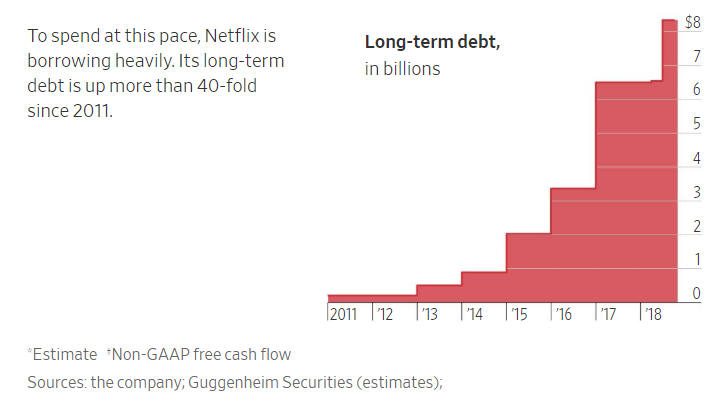 1.Who Is Going to Buy $1.3 Trillion in New U.S. Government Debt? 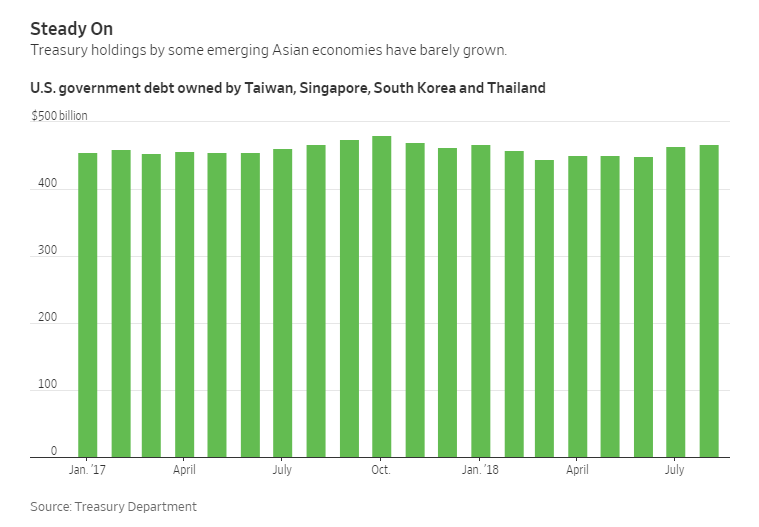 Holdings have particularly stagnated in a number of emerging Asian economies—including South Korea, Singapore, Thailand and Taiwan—which have prized U.S. government debt as a capital bulwark since the 1997 Asian currency crisis. Many observers assume the U.S. has no trouble finding demand for its debt in the vast pool of world-wide governments, financial institutions, mutual funds and individual investors who want to own the world’s major risk-free asset. Yet the Treasury is finding fewer buyers in some parts of the world, leaving domestic investors such as mutual funds to pick up the slack. 2.Semiconductors Came Underperforming S&P for First Time in 5 Years 2018. SMH Semis Vs. S&P 5 Year. 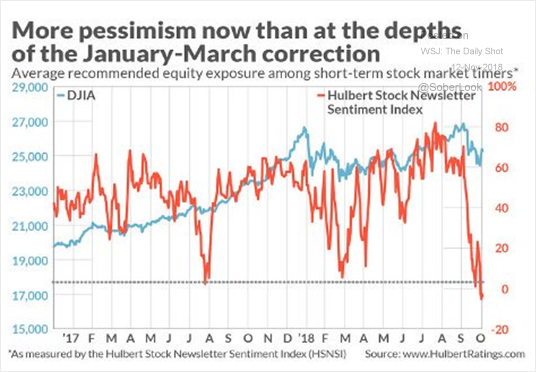 Big Outperformance. 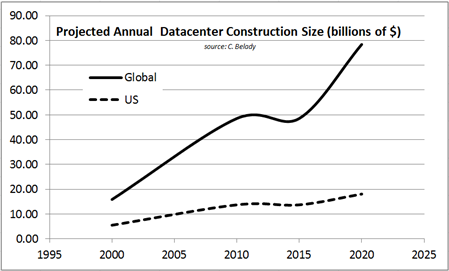 3.Chips Depend on Whether Data Center Construction Boom Continues…. 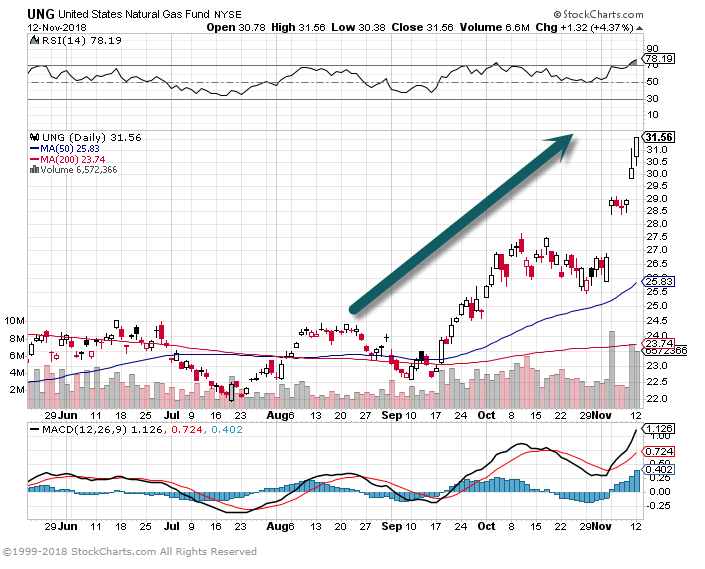 4.Natural Gas Prices Spike on Cold Weather Forecasts. 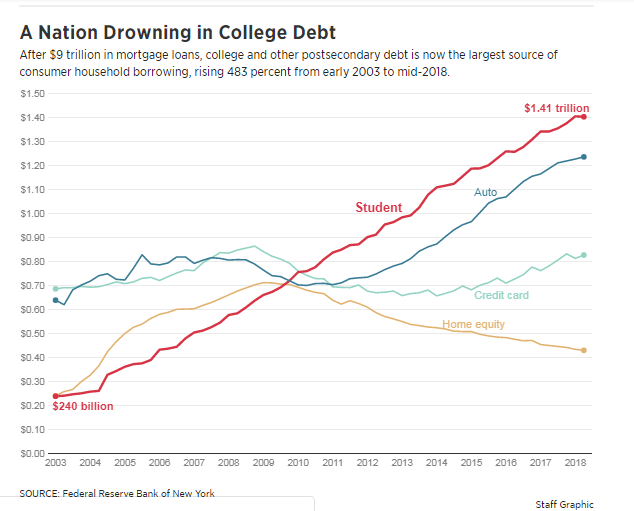 6.College Debt Now Largest Source of Household Borrowing. 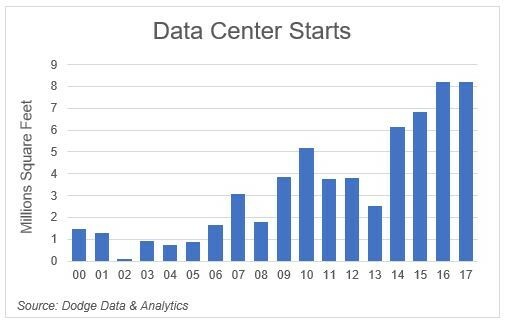 7.Opportunity Zones-Tapping into a $6 Trillion Market. 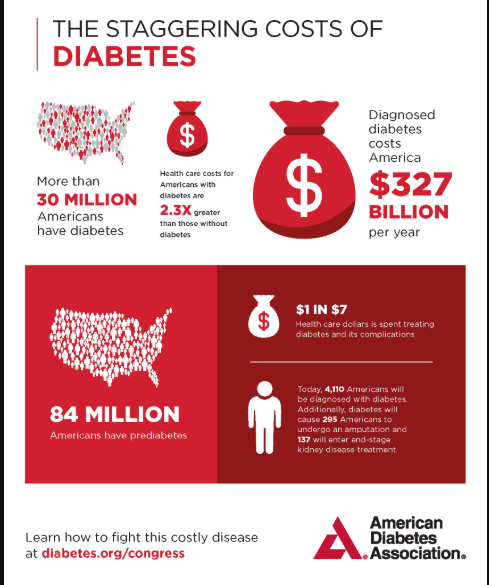 9.1980 to 2015—400% Increase in Diabetes. The robots are coming for us, they say. Programmers, data processors and loan adjusters beware: in a few years A.I. or “Artificial Intelligence” may completely disrupt your industry, leaving you under-qualified and unemployed. Truly in many industries, computers can do jobs just as well if not better than humans. We already trust Siri and Alexa with so many important aspects of our lives… soon they may be doing our taxes and refinancing our mortgages as well. So where does that leave us? We, simple humans without the accelerated brainpower of a Google-powered device or the ability to work 24/7 without rest or a reboot? What skills, traits and resume builders must we have to remain valuable and with a roof over our heads? What qualities do we possess that A.I. can’t do better and more expediently? Authenticity. Literally, the “human touch”. In the Hospitality industry where I’ve spent the last 12 years of my career, bright-eyed entrepreneurs are always coming along with new apps, widgets and websites that seek to streamline and simplify our daily workload. Sometimes they are useful but rarely are they enough. Sure, these digital platforms make certain aspects of our lives easier but they do not replace the nuanced expertise of a real live person. They don’t offer thoughtful suggestions or anecdotes from past experiences. They can’t give an honest opinion or reassure you that the choices you are making are good ones. An app isn’t giving you a firm handshake at the culmination of a big deal or raising a glass to toast a new business relationship. In other words to stay relevant, we as gainfully employed human beings need to stop relying so exclusively on artificial solutions. Pick up the phone. Meet for coffee. Crack a smile or tell a joke for goodness sake! If a client, customer, or prospect is getting nothing more from you than a canned, copied + pasted, emailed response, what actually DOES make you different or better than an app or a bot? How can you seek to make your professional interactions more authentic, more personal, and less automated? Where can you sacrifice efficiency to increase your authenticity? This will be the mission for all of us cubicle-dwelling mammals looking to survive the dawning of the A.I. era.